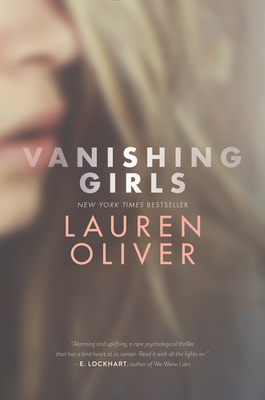 New York Times bestselling author Lauren Oliver delivers a raw and heart-pounding story, perfect for fans of E. Lockhart's We Were Liars or Gillian Flynn's Sharp Objects. Dara and Nick used to be inseparable. But that was before the accident that left Dara's beautiful face scarred and the two sisters totally estranged. When Dara vanishes on her birthday, Nick thinks Dara is just playing around. But another girl, nine-year-old Madeline Snow, has vanished, too, and Nick becomes increasingly convinced that the two disappearances are linked. Now, Nick has to find her sister—before it's too late. Lauren Oliver is the cofounder of media and content development company Glasstown Entertainment, where she serves as the President of Production. She is also the New York Times bestselling author of the YA novels Replica, Vanishing Girls, Panic, and the Delirium trilogy: Delirium, Pandemonium, and Requiem, which have been translated into more than thirty languages. The film rights to both Replica and Lauren's bestselling first novel, Before I Fall, were acquired by Awesomeness Films. Before I Fall was adapted into a major motion picture starring Zoey Deutch. It debuted at the Sundance Film Festival in 2017, garnering a wide release from Open Road Films that year. Oliver is a 2012 E. B. White Read-Aloud Award nominee for her middle-grade novel Liesl & Po, as well as author of the middle-grade fantasy novel The Spindlers and The Curiosity House series, co-written with H.C. Chester. She has written one novel for adults, Rooms. Oliver is a narrative consultant for Illumination Entertainment and is writing features and TV shows for a number of production companies and studios. Oliver received an academic scholarship to the University of Chicago, where she was elected Phi Beta Kappa. She received a Master of Fine Arts in Creative Writing from New York University.